Right mouse click or tap here to save this Podcast as a MP3. G'day and welcome to Partake! The Bible, as we discussed in the last podcast, tells of how God has roared, or spoken if you like, to all of humanity. He has done this through the Bible using revelation, inspiration and illumination. In this podcast, we will go onto ask why we should interact with the Bible. But firstly, lets look at some keys to understanding how to read the Bible. Keys To Understanding the Bible. Here are six short keys to help you open the doors of the Bible, and allow it to have an impact on your life - to let God roar into your life! Firstly, pray that the Holy Spirit will help you as you read. That is part of His role in your life as a Christian Disciple and believer. He will use the Bible to enlighten and illuminate your mind, heart and will as you seek to be obedient to Him. As you read the Bible, pray what you read - let it have an immediate impact on your life! The God who wrote it, is listening and is eager to see you transformed into the image of God the Son in the power of God the Holy Spirit! Secondly, the Bible is inerrant, or without error, and that it is totally trustworthy. It does not contain errors or mistakes in its original form. That is in the original manuscripts and languages. It is not inerrant, however, in so far as the translation from those languages. As Christian Disciples, we maintain the Bible as our final authority over all things. If it was not inerrant, then it could have no authority at all. Thirdly, no part of the Bible will explicitly contradict another part. It is a balanced and unified message from a God who does not change. God is not a God of confusion, but a God of order. As you read it regularly and consistently, you will be amazed how it holds together. Fourthly, we are to keep what we are reading in context - not only in its immediate context, but also in context with the rest of the Bible. Take for example Psalm 14:1 where the Bible says "There is no God". What Psalm 14:1 actually says is that the fool in his heart has said "There is no God". It is also out of context with the rest of the Bible where God is said to exist, such as Genesis chapter 1. You can make the Bible say whatever you want it to say, by merely taking sections out of context, and thus creating pretexts. Ask yourself questions about the passage: How, who, when, where, why and what? Fifthly, use a Bible you can read easily. There are many translations available to suit the taste of anybody. You may like to use a Bible reading plan, which will take you through the Bible in a year. Lastly, expect to be changed when reading the Bible. Read it with an obedient heart, mind and will. The Bible is God's Written Word because it is active, and God will not cease transforming you into the image of Jesus the Living Word - which is the goal of Christian Discipleship. So if they are the keys to the doors, what are the doors! The Bible Equips For Service! One of the main ways that the Bible helps you, is by equipping you as a Christian for active service! There are at least four ways, in which the Bible does this in your life as a Christian! Firstly, is that the Bible both equips, and is useful for, evangelism and pointing others to Jesus Christ. When Philip the evangelist was talking to the Ethiopian about the Christ, it was Isaiah 53, which was the point of query. The bible also equips in order for you to give counsel & instruction to others seeking help. An example of this is seen when Paul urged Timothy to use Scripture when teaching others. Thirdly, the Bible equips you as a Christian to use your spiritual gifts. A spiritual gift is an ability given by the Holy Spirit, to you the believer, so that the church as a whole is encouraged and God is glorified. Your spiritual maturity derives from building Bible knowledge, which in turn helps you use your spiritual gifts in the best way possible. Finally, it also equips you for doing battle with Satan and resisting temptation. In writing to the Ephesians, Paul likened the believers' spiritual armour to that used by Roman foot soldiers. In this anecdote, the Bible is compared to a soldier's sword. A sword is not only used to defend, but also used to attack. Jesus fended off and attacked Satan by using Scripture to negate the temptation. You can use all these methods in order to live the Christian life, and also to grow into spiritual maturity. This is as you read your Bible regularly, asking the Holy Spirit to illuminate it to you, as you do so. One of the very key teachings from the Bible is that God can be known personally. People are not naturally born possessing this knowledge, even though they know the very existence of God. Knowing that God exists is not the same as actually knowing God personally. In the same way that I know about the Queen, I don't know her personally. That is the same state people are in, with regards to God. Personal knowledge of God is ultimately crucial however, since knowing God personally and developing the relationship is what being a Christian is all about. As a Christian believer, you should be rejoicing that God earnestly desires you to attain this knowledge of Him, in order to know Him more and more. For this reason, He has spoken to you through His written Word, the Bible, revealing Himself and disclosing how you may know Him more. Whilst God can be known, your knowledge of God is partial and you will never know everything there is to be known about Him. Knowledge of Him is both wondrous and without end. As you grow spiritually, knowing the Bible and thus knowing Him more, you will grow in spiritual maturity. The Apostle Peter commands that you grow in the knowledge of Jesus. You do this as part of your spiritual journey, in order to become more like Jesus Christ. One of the Christian life's' greatest delights, is developing an intimate knowledge of God and of developing an intimacy with Him. The gospel, or the news of Jesus you share with other people, is rightly entitled: "the power of God to salvation". The Bible, and its gospel whereby people come to know God, are found in that the gospel is the agent of the new birth. The gospel is the soap or cleansing agent whereby God gives the believing sinner a spiritual bath resulting in salvation and the Bible is a teacher that brings wisdom, which leads to salvation. God has a program for the universe and it is revealed only in the Bible. The overall will of God, is that all people come to believe and trust in Jesus Christ as their Lord and their Saviour. After starting the Christian life, you discover God's program from humbly reading His written word, the Bible. God's initial will for those who believe is the changing and conforming of the believer into the likeness of Jesus. But this is only the beginning of God's work in you! This serves as merely an introduction into the lifelong process of becoming like Jesus. Paul writes "God who began the good work in you, will keep on working in you until the day Jesus Christ comes again". God will not abandon you, but will keep working in you, transforming you to be like Jesus Christ. Obeying God's will as revealed in the Bible, helps speed this transforming work along. It is work, because sometimes obedience is difficult and involves cost, yet worthwhile in the light of eternity. Secondly, as a Christian believer, you should not overlook God's work in this world. Was it not Jesus' who commanded all his followers to tell all men about Himself? God uses people to tell this gospel and conviction comes through the work of the Holy Spirit. This includes you, if you allow Him and seize every opportunity! Finally, believe it or not, God is at work in and through the church - His church. The church is to be a dynamic organism ordained by Jesus to do work for God. As the church reflects biblical truths to the world, God works through His Holy Spirit and through his followers in order to strengthen and bless the church. 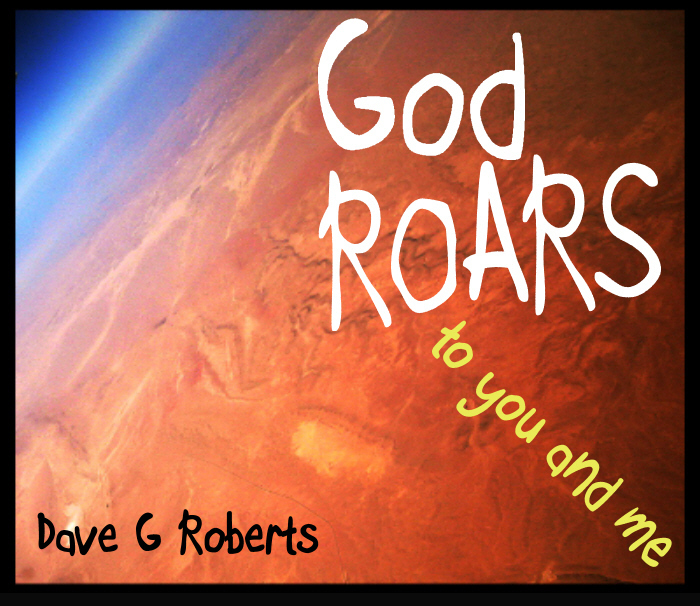 God has roared and continues to roar! The Bible, by way of revelation, illumination and inspiration, help transform the reader! By using 6 keys of understanding, there are 3 doors opened up: door to serve God efficiently, know God more and know God's will! Let God roar to you through the Bible and go have an impact on your community! For more to think about, please do read in the Bible, Luke 24:25-35; Matthew Chapter 4:1-11; 2 Peter 3:14-18. Philippians 1:3-6. Ask yourself the following questions, writing them down if you can, and see how you respond or react to them. Then why not share your answers with your spouse or a close friend, so that you can pray over any issues together. 1. What do I understand by the word "inerrant" and authority in regards to the Bible? 2. What is my expectation when I read the Bible and in what ways can I use the Bible every day to be cleansed and grow in spiritual maturity? 3. How does the Bible help my relationship with God and allow God to reveal His will and programme? 4. Why should I reflect biblical truths in my life to those who do not know God? Revelation: where God has caused the truth to be revealed. Inspiration: Where God causes the truth to be recorded. Illumination: because God causes the truth to be understood. These three words, revelation, inspiration and illumination are what Christian Disciples believe about the Bible. It is God's revealed word about His Son Jesus Christ, inspired by His Holy Spirit and only illuminated within us, as we seek Him earnestly. Revelation is how God has communicated truths to people, who otherwise would not know them. The story of creation in Genesis 1 and 2 is a good example of this. As humanity was not created until the sixth day, it must have been God who revealed the knowledge about what occurred on the first five days to the author of Genesis, or it would not be possible to know what occurred. We know God did speak to those who wrote the Bible; but how did He speak? Was it in Hebrew? Greek? Some form of angelic language? We know that He spoke to them in their own language, as he did to young Samuel in the temple. Samuel at first thought that the voice was that of Eli the priest. At other times God spoke through angels, as when the angel Gabriel informed Mary that she would give birth to Jesus. Another method of communication used by God was through dreams and visions. An example of this is in the birth story of Jesus Christ, whereby the wise men were warned in a dream not to return to King Herod. God has also communicated by way of a burning bush and from within of a cloud. God has even spoken through a donkey, as the prophet Balaam can testify! In the Old Testament, often God spoke through the "Angel of the Lord", which some believe to have been Jesus before He came to earth as a human. The Bible, as God's written word, is revelation because through its pages, the Bible reveals the Living Word, Jesus Christ. The actual word inspiration is only found once in the New Testament, where Paul explicitly states, "All scripture is given by inspiration of God" or more literally "God-breathed." Divine inspiration naturally proceeds from divine revelation. Whilst through revelation God speaks to man's ear, it is by inspiration that God works the pen, thus ensuring that the message is written correctly. This process of inspiration has several theories attached to it. One theory called the content theory, suggests that the author garnered the main idea from God, but God allowed the writer to choose his own words. Another is the natural theory, whereby the Biblical writers were inspired in the same sense that William Shakespeare was inspired. God did not suppress the writers' personalities. For example, the differences between the writing style of John and the writing style of Paul are easily recognizable. However, Jesus said that God chose the very letters of the words. This view states that God inspires all the words of the Bible. God was able to use humans, even with their limitations to say all that He needed to say. God wanted to communicate to ordinary people, so He used ordinary people to write and produce the Bible. In response to temptation by satan, Jesus said that man is to live by each of these God inspired words. Writers in the bible, such as Peter that knew their writings were being God guided. Peter said this was true of the Old Testament authors, his own writings and also true of Paul's. However inspiration does not guarantee the inspiration of any translation of the Bible, but only of the original manuscripts written in Hebrew, Greek and Aramaic. God has spoken and He has communicated His Written Word to us. Firstly by revelation when God spoke to the writers. Secondly, through inspiration as the writers were divinely guided by God, in the process of writing His message. However, in order to understand God's revealed and inspired message, illumination is required. This is where God causes the Bible to be understood by both the human heart and the mind. Why do we need of illumination? Without illumination the reader of the Bible, is blinded by both his nature and by Satan. Just as a light bulb needs power in order to give light, so does the Bible need somebody to provide the power! The person, who does this illuminating, is God the Holy Spirit. He was promised by Jesus to illuminate the Bible to the hearts and minds of all people willing to listen, both Christian and non-Christian. Take for example the Holy Spirit's use of God's Word to illuminate sinners at Pentecost, where after hearing Simon Peter preach, three thousand people became Christian Disciples. However, as a Christian Disciple, you also need this illumination to help you understand God's Word. The Holy Spirit will show these tremendous truths to you as you read the Bible regularly, and ask for His help in understanding it. He will not contradict what the Bible says! By the Holy Spirit illuminating the Bible, people's lives are transformed and changed. By way of the Holy Spirit illuminating the Bible as God's inspired written word, God's Living Word Jesus Christ is revealed. So, why not pray for His help when ever you read the Bible and ask the Holy Spirit to illuminate it to you? For more to think about, please read in the Bible, 2 Timothy 3:14-16; Deuteronomy 29:29; Isaiah 59:21; 1 Corinthians 2:10-16. Ask yourself the following questions, writing them down if you can, and see how you respond or react to them. Then why not share your answers with your spouse or a close friend, so that you can pray over any issues together. 1. What are the 3 methods in the Bible that God has used to speak to the world, and how would you define them? 2. Write down some examples from the Bible of "revelation". 3. What are the roles played by God the Father, Jesus Christ and the Holy Spirit in regards to the Bible? 4. Can you tell the difference between two writers, such as the writer of 3 John and the writer of 2 Peter?